From time to time, I drop into Norman's Rare Guitars in Tarzana. Occasionally, I buy things like my 1932 Gibson L-5. This time, they were kind enough to ask if I'd do a little video for them and one of the 16" L-5's they had in stock. Norm's youtube channel features drop ins from a huge number of world-famous guitar legends, so it's a great compliment to be among them. About 9 years ago, I noticed how much wear and tear my 1939 EH-185 was taking, just being loaded and unloaded from my car every gig. With a bit of research found that there were any number of people on ebay that would make custom amp covers to order. But, when I found out about Studio Slips, I could tell these were another level above what I'd seen on ebay. It took me 5 months of cyberstalking their website before I finally bought one. I opted for the "Padded Slip Cover" model, with "double padding", in brown, with a pocked added to the back. Even with those upcharges, it was $115.00 plus shipping. I don't think I could really appreciate how great it was until now. Sure, it looked nice when I got it. fit perfectly, and was surprisingly well padded (I've always gone with the "double padding" option). But it was only today when I realized that the cover was NINE YEARS OLD that I realized how great a job the cover has done protecting my 77 year-old amp. This is as the amp and cover look TODAY. Other than a little fraying on the stiching of the logo patch, and a bit of dust, there's little indication that the cover has accompanied that amp from gig to gig for nine years, and it cost only a little over a $100! Wow. The main reason I came upon this astouding realization today was because a new cover arrived for my Vintage '47 Amps VA-185G. I went with exactly the same options, it only ran $110.00 plus shipping, and it fits like a glove. 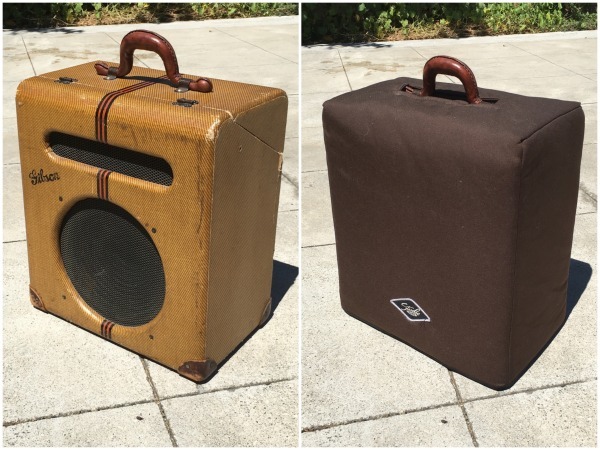 The amp was already starting to show a bit of discoloration on the tweed, so I'm stoked to have a cover for it that will keep it looking great, and provide a good bit of impact protection and shock absobtion. 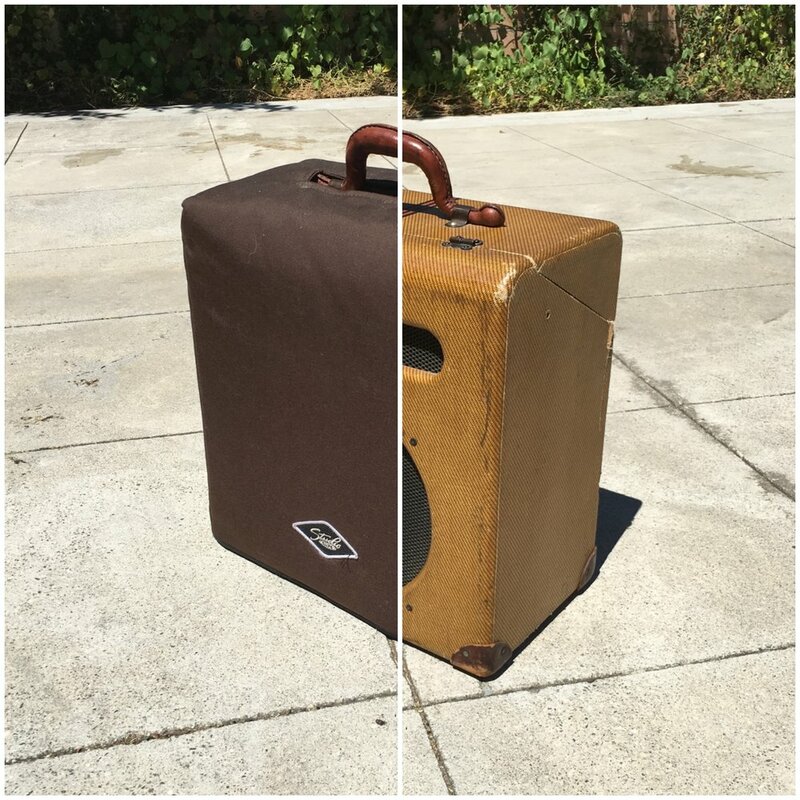 Of course, it's not the same as a hard-sided road case, but it also only adds a tiny bit of size to the amp itself, which for most gigging situations, is a lot more practical. (Oh, don't mind the wrinkles, I literally just pulled the cover from the box and threw it on the amp). Now, in 2010 I order another Studio Slip case, specifically a "Briefcase Gig Bag" to carry the amp head of the EH-185 separately outside of the cabinet. This was also a great product, however I don't use it anymore. Ever since I had my amp guy reinforce and reglue some parts of the EH-185 cabinet, I've just decided to keep the head in the cabinet, so I don't need a separate case. The case is packed away somewhere, but it worked great for it's intended purpose. Heck, the only thing I didn't like about it was that I accidentally ordered one in black, and it didn't match. 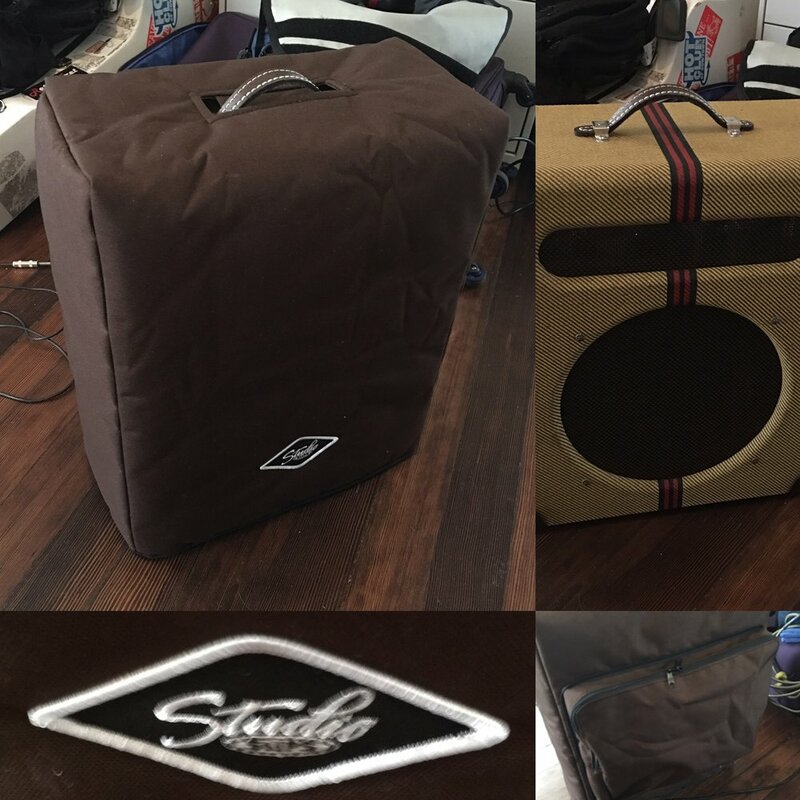 I highly recommend Studio Slips padded covers for protecting your amp, and I've been using them for nine years. They're great! This Friday, July 29, 2016 marks the 100th anniversary of the birth the "Genius of the Electric Guitar", Charlie Christian. 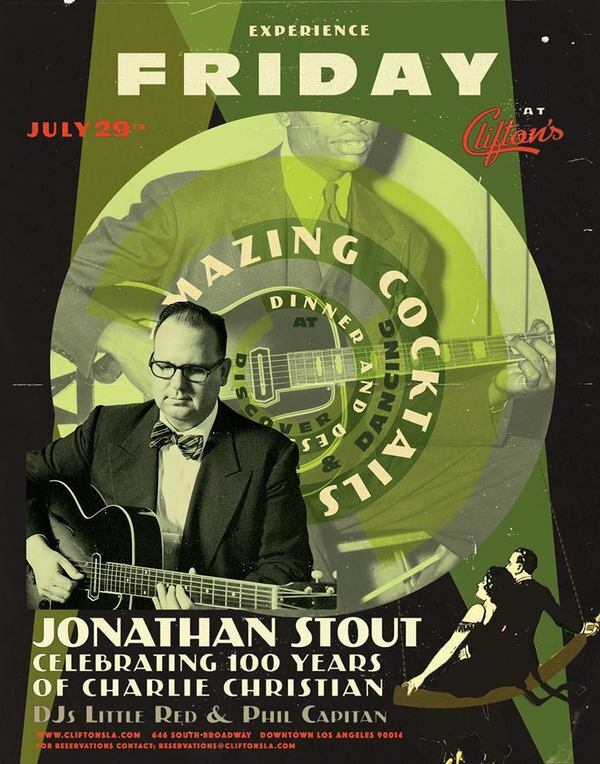 I'm planning a great show at Clifton's Cafeteria in Downtown Los Angeles this Friday (you can find the facebook event page with details here: https://www.facebook.com/events/1202966519776658/), and in anticipation, I've been doing a lot of woodshedding. I figured I would share some of that with you guys in honor of the great Charlie Christian. (By the way, both video showcase the Vintage 47 Amps - VA-185G amp, modeled after the Gibson EH-185, used by Charlie Christian). I'm planning to add to this throughout the week, so check back. Happy (Belated) Birthday, Allan Reuss! bigger thanks are owed to Tohru Seya who's posted an amazing collection of rare 78's, including this new Reuss solo, as well as several other great recordings featuring Allan Reuss. Allan's solo is first up after the head, and, wow. Classic Allan Reuss chord melody soloing. There's not much I can say, except "wow". Also, of note, I just picked up some Harry James airchecks from the mid-40's that, if the liner notes/discography is to be believed, features Allan Reuss taking some single-string ELECTRIC guitar solos. Also, there appears to be a live version of "I'm Beginning to See the Light" where somebody beside Allan Reuss is having to play at Allan's chord-melody interludes. I'll try to get those posted soon. 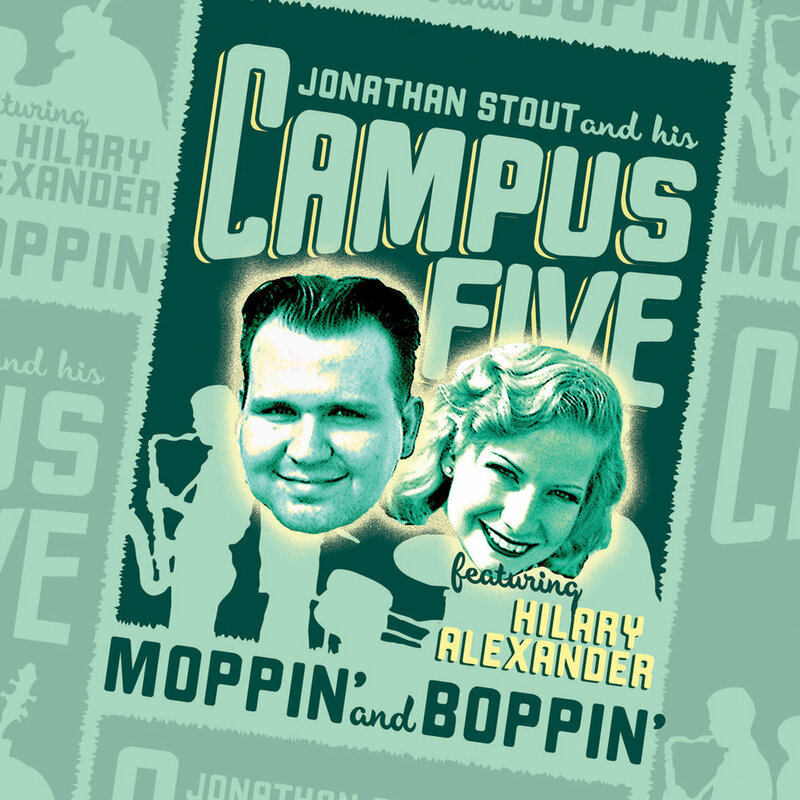 Lastly, one of my obsessions lately, has been the brief period in 1943 where many of Benny Goodman's best almuni returned to the band all at once. Reuss, Jess Stacy, Hymie Schertzer and even Gene Krupa (following his 1943 pot bust) all rejoined the band for a short period of magic. Here's perhaps the most blazing performance that was captured, a redux of Fletcher Henderson's 1936 arrangement of "I've Found a New Baby". This 1943 performance is absolutely ferral - so intense! An MP3 album, Benny Goodman - "The Forgotten Year 1943" is available from amazon.com for $7, but since it's a digital download, there are no liner notes. Also, the sound quality is fair to pretty terrible tune-to-tune. Still, several of the tunes are revalatory! Have you been digging on Allan Reuss? Now's your chance to check out a live, in person clinic all about Allan Reuss-style chord melody and rhythm guitar playing, followed by a concert with Jonathan Stout and Casey MacGill. It's all part of our good friend Tommy Harkenrider's Blues and Roots Guitar Clinic Series. 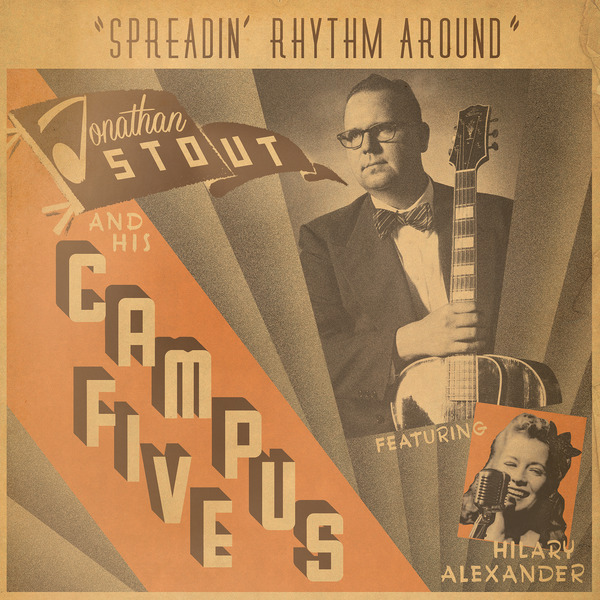 Jonathan will be teaching and talking about chord melody/rhythm guitar style of Allan Reuss! A Tale of Two "Paper Moons"
Here's just a little comparison to show the different flavors and tone colors available within the pre-WWII swing guitar range. Here's something to get you in the holiday spirit, "Frosty the Snowman" with a Chord Melody in the style of Allan Reuss. The changes here a quite simple, and the voicings I ended up with are often triads, which just goes to show more extensions is not necessarily better. 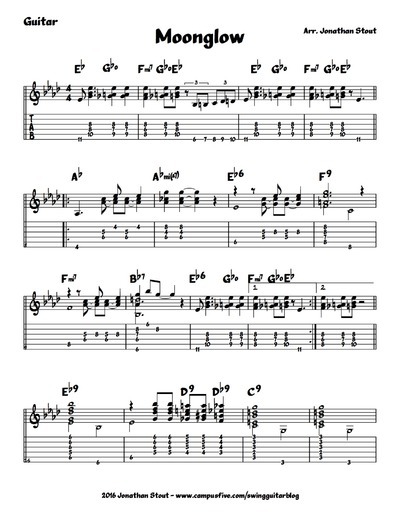 This tune also has several spots where the melody arpegiates up the chord tones over a single chord, and these were good opportunities to jump the voicings up or down accordingly, just like Allan Reuss would do, rather than hold the same bottom voicing for more than a measure. FYI, I've strung my L-5 with Martin Retro Monel strings in the Tony Rice signature gauge (i.e. 13's), but have swapped the high E and B with a 14 and 18, as is my usual. Unlike my usual videos, this was shot with an iphone 6, instead of the internal webcam of my Macbook and a Blue Yeti USB microphone. Since it’s almost time to hang those stockings, I figured I’d give an updated list of some of my favorite Swing Guitar-related items that make suitable stocking stuffers. I’m sure we want Santa to leave a D’Angelico or a Stromberg under the tree, but these are all things Santa might actually be able to pull off. While many of these are available as mp3s or what have you, I find that many of these come with liner notes. Good liner notes give you the personnel and dates on each song, and often a nice critical explanation of the tunes. I’ve bought many things digitally, only to have to scour the internet to find out who was playing on a given session. Digital is better than nothing, but I always try to hold out for something with liner notes when I can. The very best collection of Charlie Christian in the studio. Edited takes have been put back to their original state, and the remastering is excellent. One example is how on “Sheik of Araby” you can really hear the pitches of Nick Fatool’s tom-toms, instead indistinct thuds. The rehearsals and jam sessions on disc four provide a window into the real people involved, instead of just picturing them as 2-dimensional black and white photos. It’s out of print, but it’s worth searching out for this box set, no question. Plus the damn box is fashioned after an EH-150 amp! How can you resist?! This is a fantastic collection of some more obscure players and tracks. There’s some wonderfully Django-influenced early Les Paul, as well as some really jumpin’ Mary Osbourne, one of the first players to be influenced by Charlie Christian. Her version of “Rose Room” is so badass. There is also some of the George Barnes Octet stuff, and some great Tony Mattola small group stuff. Perhaps my favorite track, unavailable anywhere else, is Carl Kress and Tony Mattola playing “Davenport Blues” live on some radio show. The spoken introduction is priceless, and the tune is even better. I’m not going to lie, I basically bought this one just for one song, “I Never Knew” by Peck’s Bad Boys, featuring one Mr. Allan Reuss. I don’t believe there is another CD issue of that track anywhere. But, there’s a ton of other good stuff on here from Bernard Addison, Al Casey, Eddie Lang (in the context of a band, not simply solo), several other lesser known guitar players, and even the reclusive Snoozer Quinn. The Arnold Ross Quintet Sessions with Benny Carter are some of the very best examples of Allan Reuss’ playing. More over, there are multiple takes, which is wonderful insight into what parts and phrases were worked out and which were improvised. Some of the other collected tracks featuring an unidentified electric guitarist of interest as well. While far from an exhaustive survey of Django Reinhardt’s playing, this two CD collection of 1949-1950 contains some of my favorite recordings of Django. There’s both some acoustic playing and some great electric playing. Among the great tracks, it contains one of my favorite Django tracks of all time, “The World is Waiting for the Sunrise”. These are problem the three most essential books on swing guitar playing. For all my complaints about it, this is still the most authoritative book on the subject of Freddie Green style playing. I highly recommend the chapter on inversions, since that is where one can learn to “walk” voicings up and down the neck. Just don’t bother listening to the example CD, because it’s straight-ahead jazz dreck. 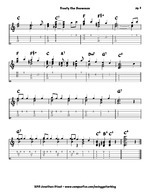 The exhaustive resource of Charlie Christian transcription is the best available on the subject. There’s no tab, so you;ll need to work the fingerings yourself. Once you have a firm grip on Charlie’s patterns, that becomes easier to do. I’m a little wary of revealing one of the best resources I’ve ever found for pre-war jazz guitar playing. I felt like keeping it secret for a long time, but I have to share. 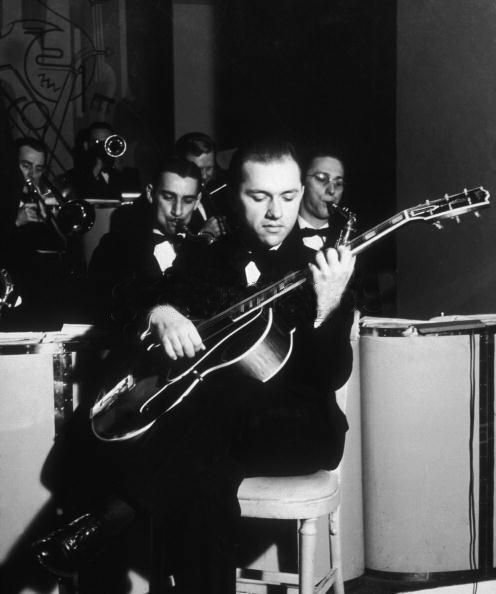 There are transcriptions of Allan Reuss, Oscar Aleman, George Van Eps, Carl Kress, as well as multiple transcriptions of Eddie Lang, Lonnie Johnson, DickMcDonough, Teddy Bunn, Django Reinhardt, Eddie Durham and Charlie Christian. Plus there’s some interesting analysis of the change from the Eddie Lang/Lonnie Johnson-era - the “First Guitar School”, to the “Second Guitar School” of McDonough/Van Eps/Kress and the rest. Fascinating stuff! These are just some favorite accessories that might make a good stocking stuffer. My favorite gigging guitar stand. Foldable, light, but very steady. Although the surfaces are not certified to be non-reactive with nitrocellulose lacquer, I’ve never seen any reactions, and I only use them for stage use, so I doubt I ever will. The only downside, for me, is that the recessed tailpiece jack of my ES-150 requires a stand with greater ground clearance (for which I have a Hercules model that holds the guitar by the neck). Primeness have become my new go-to, everyday pics. I really love Blue Chips, but they are also $35 a pop. These Dunlops are only a little more than a dollar, and give much of the same feel. I find I like them better the more they break in. For harder-playing gigs, and for anything where I need to mitigate treble, I still reach for a 1.2mm Wegen, but for day-to-day playing, it’s hard to beat the 1.0mm Primetone. I also keep a couple Primetones in heavier gauge around for variety. Be warned there is also a model of the same name WITH a grip, and that is made from a completely different plastic - those are cool too, but definitely not as much like a Blue Chip. A guitar tech friend of mine coined a turn of phrase I really loved, and I’ve repeated many times since: “The Snark: for when close enough is good enough.” He was joking about the use of something like a Snark for fine tuning intonation, which is clearly a job for something much more sensitive, like a strobe tuner. But for day-to-day tuning, and quick on-stage tuning checks, the Snark is more than sufficient. But almost more importantly, the price point for a Snark is so low, that loosing or breaking them isn’t the end of the world. They work well enough, they’re much easier to read than some of the budget, cheapo tuners out there, and they’re dirt cheap. I always have a bunch lying around, and when I start to notice I’ve misplaced one, I just order another. If you’re like me, you might use a particular set of strings, but feel compelled to bump up the gauge of the high E and B strings. Problem one is that it leaves you with quite a few extra E and B strings in gauges you might not want. But the much bigger problem is needing an extra single string of both the B and E in the designated gauge. Plain steel strings are basically fungible, and the brands are basically the same, so you go with any brand of single string - D’Addario, Ernie Ball, whatever. And you’ll need to pack some individually wrapped single strings with you for gigs, in case you break a string on the gig. But at home, I tend to buy a pack of a dozen single strings from Just Strings in 13, 14, 17 and 18 gauges, and leave the individually packaged single strings in my gig bag. The Just Strings bulk strings come by the dozen, bagged in a long vinyl pouch. Just find a poster tube or something to store them, and you’re set. It seems dumb put something as fungible as serge protector on this list. After all, unless you’re looking at something that has real protection, or line conditioning (ala a Furman or something), one office supply store surge protect is as good as another right? Maybe, but the benefit of the Belkin suggester here is that the plug head rotates for more options when plugging it in, and it has an 8 foot cable built-in. I can’t tell you how many times the cable from a normal surge protector almost, but didn’t quite reach to where I needed it to be, resulting in me daisy chaining multiple surge protectors in a row. Using the 8 foot Belkin has kept me from breaking out an extension cable in months. Of course, there are still times you’re going to need a 25- or 50-foot extension cable, but for so many stages, the 8 feet attached to the power strip is more than enough. About 2 years ago I tried out moonrise XLR cables. Based on the high quality and low price, I eventually replaced all of our XLR cables with them. A couple of our mics where particularly sensitive about certain cables and certain jacks being ill fitting, causing a lot of pops and cutting out. Once we switched to monoprice, we never again had these kinds of problems. I also order a bunch of shorter run XLR’s for connecting my Lav Mic->Mute Switch->A/B Box combo together, before using two longer XLR’s to send to the board. If and when they eventually wear out, the low replacement cost still has you ahead of the rest.